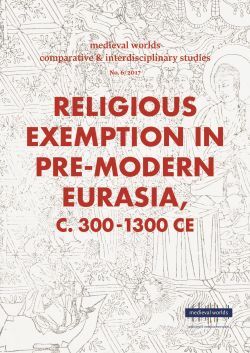 This paper examines a group of legal, religious and commercial privileges connected with revenue collection in ancient Indian society.1 These privileges, I argue, derive from and reflect the standing of Buddhist monks in that period. Much of the discussion that follows centers around the Saṅgha’s status in Indian tax law. It charts the factors that led Buddhist monks to call for tax immunity for the goods they carried on their travels across northern India. In this sense, the article is about money. But tax collection, although central to a state’s financial health, is not exclusively informed by fiscal considerations. Some of the Buddhists’ pleas for tax exemption sprang from privileges long held by their brahmanical peers. They clamoured for the very same rights that Indian political treatises (dharmaśāstra) extended to brahmins and Hindu ascetics. Taxation is also a tool deployed to manage social privilege and economic division in society and hence reflects the values its rulers seek to promote. As a result, this investigation explores the ranking of the Buddhist community within the wider arena of religious proliferation in ancient India. It contributes then to this special issue through its focus on tax exemption.